The Volkswagen Passat is a large, classy family saloon that delivers great refinement and quality in an accomplished, discreet package the UK Auto Express summarises this car as. I could not agree more. They continue to say the only negatives they can think of are: Understated styling, not much fun to drive, lacks premium image of rivals. I don’t quite agree. I like the styling of the Passat, but it is subjective of course. I think its pleasant to drive but perhaps not quite up to the standard of the Ford Fusion or Honda Accord. The cabin is just stunningly good. Do not forget the boot. You can fit three golf bags, or a pram and a folding cot. It’s really big. If you have just over R400k to spend and you want or need a bit of space and a big boot the Passat or Fusion is a much better buy than 3 Series, C-class or A4. Lets just look at what you get. This car has one of the smoothest most efficient gearboxes out there in the 7 speed DSG box and when coupled to the turbocharged 1.8 petrol engine delivers a top speed of 232 km/h. Do you need to go faster? Not only that but it will get to 100km/h in 7.9 sec and VW claims using only 5.8 litres/100km, although I got 7.4L/100km on average the week I drove the car. Not too shabby. The interior of this car does not hit you with its brilliance. Rather you come to realise just how well designed and made this cabin is. You could live with it for years as it is ergonomic, spacious, comfortable and cleverly designed. There is quite a long list of optional extras, so you could kit it out to your heart’s desires. Basically you could get a fully kitted Passat for the price of a base, very sparsely kitted out Audi A4 which probably has the identical engine, gearbox and much of the underpinnings. The Passat range is well equipped as standard, better than most VW models. It includes intelligent cruise control, park distance control, flat tyre monitoring, climate control, heated front seats, electronic stability control, fog lights and a good infotainment centre. All the essential stuff. Options fitted to our test unit include sunroof, DiscoverPro navigation, ambience light package, adaptive cruise control, electric front seat, Nappa leather seats and LED headlights. Nice to haves, but not necessary, except for the adaptive cruise control which I consider a great safety feature. The Passat will probably surprise you if you take it for a test drive. It is, like the Ford Fusion, a seriously commodious, comfortable, complete package. The price of the 1.8 TSI Highline DSG as standard is R457 500. The range starts from R432 000 and tops out at R518 000. 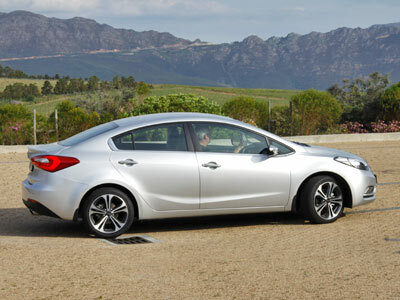 The car as tested had around R50 000 extras. Warranty is 3 years or 120 000km, but the maintenance plan is 5 years or 100 000km. Other cars in this size range include the previously mentioned Ford Fusion (R424 000) and Honda Accord (R434 600), the more expensive but not really better MB C-class, BMW 3 Series, Audi A4 and the exciting Mazda 6 and Volvo S60. 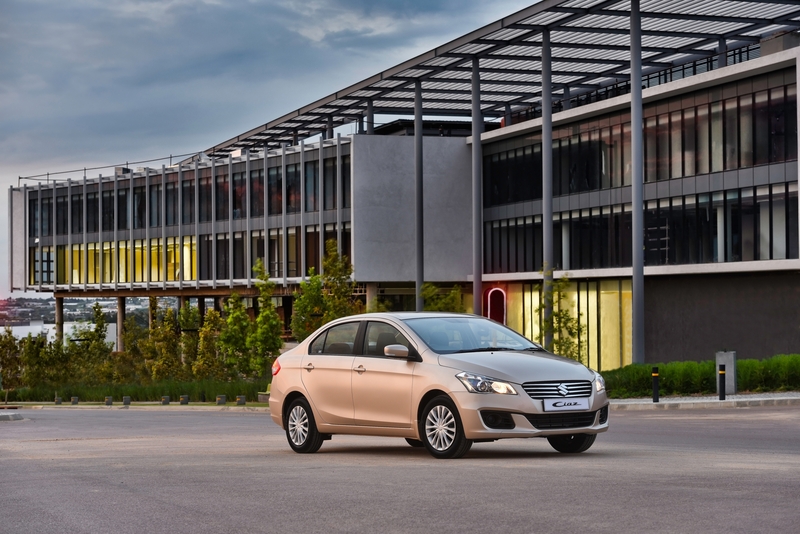 Suzuki have just launched a new compact sedan, the Ciaz. They are really pretty busy. It seems they are launching something new every month. The Ciaz is offered in a choice of two specification levels – GL and GLX, one engine manual or 4 speed automatic. 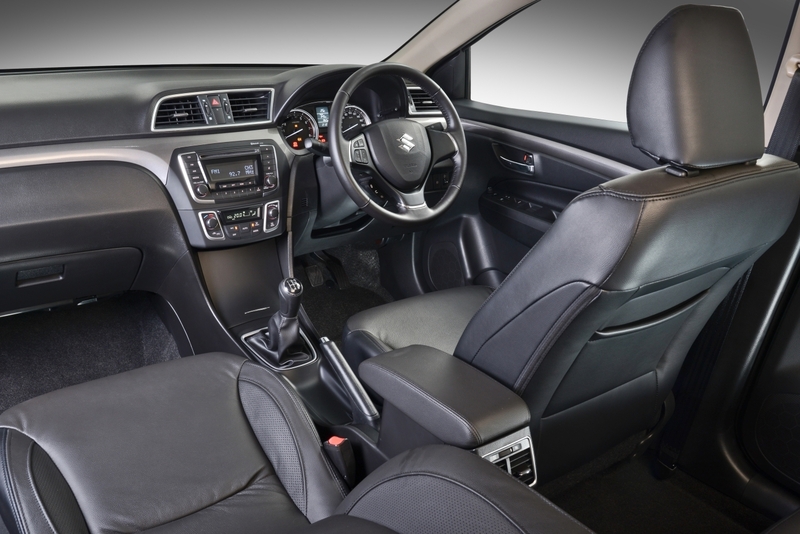 Efficient packaging makes the most of the space on offer, with ample head, leg and shoulder room both front and rear, while top-notch materials, upmarket finishes and an extensive array of standard features. Looks like a cross between a Honda Ballade and a Kia Rio/ Hyundai Accent. GL specification: includes electric windows and exterior mirrors, remote central locking, automatic climate-control air-conditioning with front and rear vents, and a six-speaker sound system with FM/AM tuner, CD player, Bluetooth connectivity and both USB and stereo analogue jacks, are standard across all models. The new Ciaz is fairly comprehensively equipped in an old fashioned kind of way. The GLX adds 16 inch alloy wheels, keyless entry, fog lights and leather trim. The Ciaz has Suzuki’s tried and trusted 1,4-litre four-cylinder engine equipped with multipoint fuel injection, four valves per cylinder, and variable valve timing. 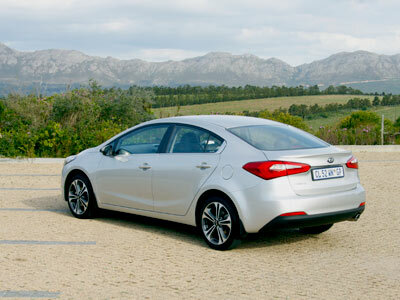 It gives good power and torque and sub 6 litre/100km fuel consumption in general use. It could do well but may cannibalise Swift sales. 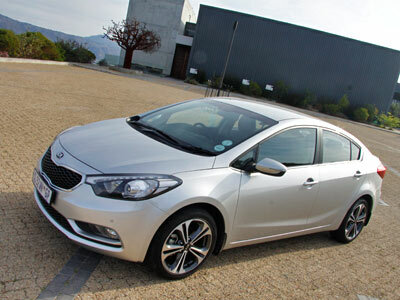 Prices include a three-year/100 000 km warranty, and a three-year/60 000 km service plan. I have to start with admitting two things. Firstly, I am a Honda fan. My wife owned one for 12 years. Secondly, I took a dislike to the concept of the split instrumentation when I read about it. In spite of my reservations this 9th generation Civic is a beautiful car to look at. It is elegant and yet sporty. A bit like its personality. And it’s oh so smooth. Everything about is easy to use, works effortlessly and just happens, smoothly. Honda really build quality cars. Although not cheap if just look at the price list, they remain the best bargain on our roads. Just a bit wider than the competition, just a bit better in every department. To own one, is to love one. This new Civic is very good. I rode it almost exclusively in Econo mode and always had enough power. Maybe on the Highveld with four adults on board and the weekend’s baggage in the large boot you will need to disengage the green Econo button. 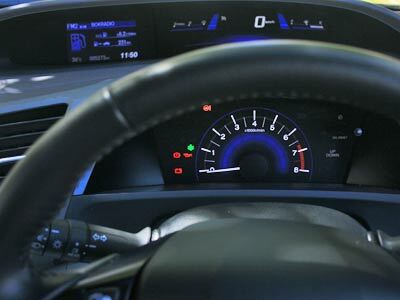 The display rewards you with a green glow when you are driving with fuel efficiency in mind, otherwise it glows blue. The petrol companies must hate the green Econo button. The 1.8 i-vtec generates 104kw at 6 500 and 174Nm @ 4 300 of torque. There is quite a lot of hard plastic in the cabin. It is all very functional. The overall impression will be pleasing for a long time I think. The doors and other surfaces a normal person will touch are soft. The door sill is quite high for older people, but I think one will get used to it quite quickly. It’s not a big issue. On a car of this class you would expect a light for the vanity mirror on the passenger side. I got around 7.9 litre/100km, which is a full litre more than Honda claims. My driving included a 7 storey parking garage every day and 50km of highway driving. I kept the Econo button on most of the time. On the N2 to Cape Town the consumption does drop to the mid 7s at 120km/h. The interior is more spacious than any of its direct competition. It has good shoulder space and adequate leg room at the back. The rear seats have a 60/40 split. The seats are comfortable and the driver’s seat is highly adjustable ans supportive. The boot is a healthy 440 litres. The Civic has a number of nice touches. The front doors have courtesy lights which illuminate where you have to get out. Buttons for audio/ phone, cruise control and computer are all on the leather clad steering wheel. The dual display actually works very well. On top is the digital speedometer, fuel gauge and consumption indicator. Below you get the other dials like the rev counter and warning lights. 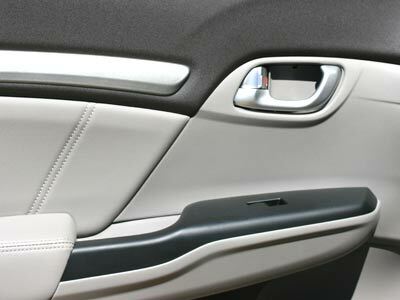 A large centre console between the seats has storage space inside, cold drink holders on top and slides forward to become an armrest. Fit and finish is outstanding. The cabin is an island of tranquillity. The car drives like a Honda. It’s fun, responsive and has superb road manners. The Civic comes with adaptive electronic power steering which always feels just right. No dead spots or numb areas. The EPS together with Honda’s vehicle stability assist massively enhance the car’s cornering and general handling. It is a both a fun and a safe car to drive. The brakes feel good and have very little fade. The driving position is good and all round visibility above average. It can be an effortless driving experience or a hands-on involved drive. The choice is up to you. The Civic has more than enough space for two adults, three children and their luggage. 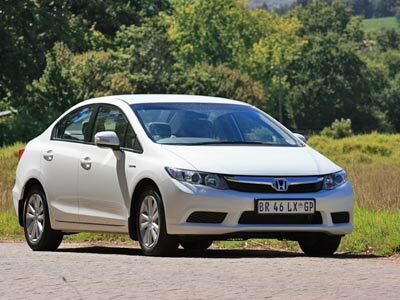 The model tested, the Civic Sedan 1.8 Elegance costs R259 900 . 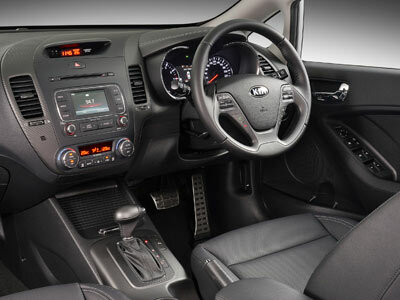 Prices range from R209 900 for the base 1.6 Comfort to R282 900 for the 1.8 Executive Automatic. All Hondas come with a 3 year 100 000km warranty and a 5 year 90 000km service plan.